Description: Holter Lake, also known as Holter Reservoir, behind Holter Dam in Lewis & Clark County, Montana, United States. Photograph probably taken in the 2000s. 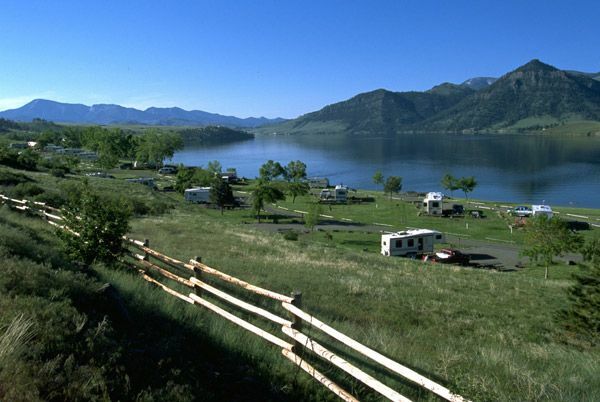 The Holter Lake campground managed by the Bureau of Land Management, U.S. Dept. of the Interior, can be seen in the foreground. This page was last modified on 31 March 2017, at 03:41.